Social Media Promotion is not just about submitting your links to all the websites and drive huge traffic. You need to do home work if you want to drive qualified traffic and by thus achieve the goal. Social Media Sites are categorized based on their niche and make your submission that fits into your specific niche industry. When your submission goes live in non-relevant sites, you can not expect clicks to your website rather only the bounce rate will get increased! Many would just visit the social media / book marking websites just to submit a link. Other than the one time submission history, we cannot find their presence in the website. Be sure to mark your presence by frequently visiting the website, voting others stories, commenting etc. Social Media is a major source in driving huge traffic. In order to get that, you can not just paste the meta description / the website content. Your content need to be viral, esp, the title of the story. Which will in fact help in attracting more visitors to your website. Make sure you don’t disappoint the users with an article that doesn’t meet the anticipation that your story title created. Tagging is the important part in Social Media Promotion. I would suggest not to go with keyword specific terms in tagging and better stick with the more generic terms which will people search for it. If you are stumbling a funny baby dance video or animal dance video, its advisable to tag with terms like funny, hilarious, humor etc. Which will create more traffic to the submitted content. 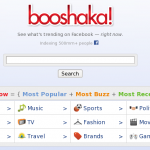 Almost every social media website will have a “TagCloud”. If you can use that wisely you can really drive good amount of traffic. Before tagging your content, have a look at the TagCloud section. You may want to tag the content with humor but the widely used tag would be funny. Its wise to follow the tag “funny” as more people used for it thus more people will search with the same. Likewise the tags social media (space separated) and socialmedia are different and go with the one widely used. Create a strong network by gradually adding network of friends with same interests. This will help, when you need extra votes to push your submissions and bridge the gap. Further with the network of friends your stories / submission will always get attention, get votes, comments etc. The most important aspect of Social Media Promotion is to avoid SPAM. Don’t make a habit of submitting only your websites in social media sites. This will lead the moderators / admin to suspend your user account. If repeated submission is made, the moderators may suspended the website from being submitted. This will be a negative reputation for both the user as well as the website. Also make sure you don’t submit the irrelevant news / stories in social media. Take an example of, StyleHive. This is a social media site dedicated to “Fashion”, where you can’t submit your news related to Auto Parts / Internet Marketing etc. Getting huge traffic from Social Media websites wont help anymore. It needs to convert! When the above said points are followed with care, you can create a momentum and keep going with Social Media Promotion. Are you looking for a Social Media Optimization / Promotion service, just contact us and we will do the rest for you! ‹ Flash Optimization – Getting Hot ! Enjoy networking………not one of my strong points. Social media has made it easier to engage in some practices that would be considered questionable or even reprehensible.Although it sounds confusing, social media optimization is basically generating traffic to your sites through social media websites such as Facebook, Twitter, and submission sites like Digg. This could mean that you sign up for a Twitter account and you add a Twitter feed on your blog or auto-post your new blog posts on your Twitter page. Yes, this is a good post with important points to remember since i am very much new to social community sites i still cant understand the word post.can u please suggest me how to post in any social sites? For instance, after becoming a member in stumbleupon, or digg, or any for that account how can i post in this sites.